Prices have just been reduced! 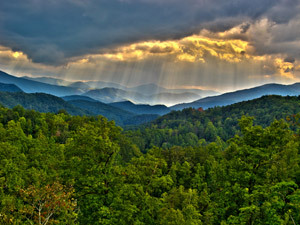 Condos are a fantastic mountain real estate investment and Blowing Rock is one of the most ideal locations. Let us help you buy condos for sale in Blowing Rock. The village of Blowing Rock routinely tops the lists of luxury and lifestyle, travel publications both in print and online. Magazines such as Fortune, Condé Nast Traveler, Travel & Leisure and others have spotlighted the Village of Blowing Rock. Book lovers who have read the best-selling book series based on Blowing Rock, Jan Karon’s Mitford series, also are one reason why this tiny little resort town is widely recognized. Each year, numerous events take place here including the Blue Ridge Wine & Food Festival and Mitford Days. If you are interested in buying investment Blowing Rock real estate, click and view the available townhomes and Condos for Sale in Blowing Rock NC. The Mountain Group at Premier Sotheby’s International Realty can help you locate the condos for sale that meet your needs and wish list items. There are condos available in some of the newest Blowing Rock NC real estate developments including Firethorn and the Blue Ridge Mountain Club, and there are luxury properties for sale along Main Street and its numerous corridors if you are looking for something closer to downtown Blowing Rock. Looking for Blowing Rock golf course views but do not want the stress of owning a large home or estate? A condo would be perfect for you and there are several Blowing Rock golf condos for sale in Blowing Rock. Click to get started in your search, or contact one of our Blowing Rock real estate agents to begin discussing your wants and investment potential. Many of the units that are available are suitable for use as vacation rentals throughout various times of the year.